I got a lot done yesterday on some projects! Yesterday was all about glitter and trees. 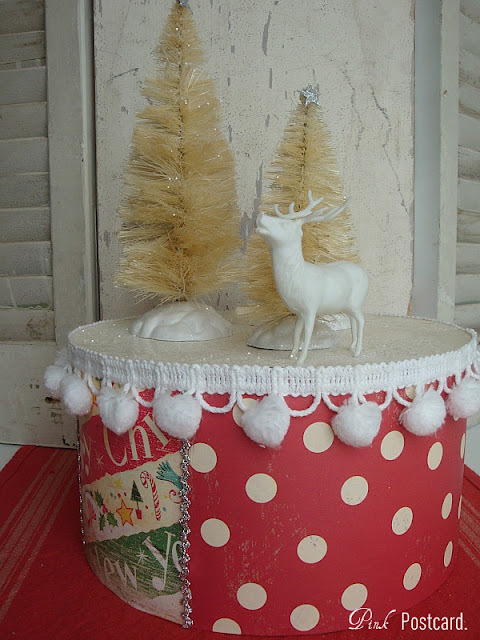 This cute little Christmas tabletop vignette was finished up. 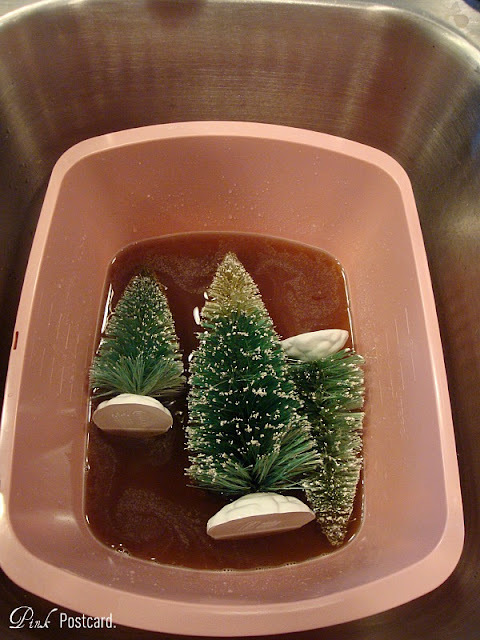 The trees were a fun project to do- when I was researching places to get the bottle brush trees in bulk, I ran across Crafty Minx's tutorial on bleaching / coloring bottle brush trees! These are so fun to do, and would be a fun project for kids to watch. I ended up purchasing my trees from Michael's- they have the big variety bag of bottle brush trees. I had a 50% off coupon, so it wasn't terrible at all! You can see her full tutorial here if you'd like to dye the trees a color, but I just wanted the creamy white. 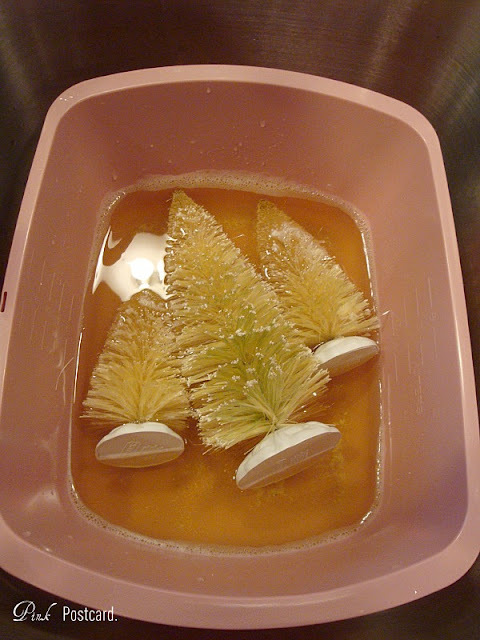 Using a small tub, I mixed bleach and warm water- about an 80/20 ratio. Just kinda wingin' it- I don't know that there is really any secret formula to it. Just heavy on the bleach is what I was going for. Wearing some rubber gloves, you can plunk and swish the trees right in to the bleach mixture and the color comes off really pretty quickly! It was fun to watch! Once the trees were bleached, I just rinsed them in warm water and washed them up in soap so the bleach was all gone. You can then fluff them up and let them air dry on a towel. I glittered them up with a clear glitter and added some sparkly silver stars to the top. The base was mod podged over a former gift / hat box that was past it's prime in the looks department. I added a ball fringe trim around the top edge ( looooove ball fringe!!) and some silver rick rack to hide the cut paper. Mr. 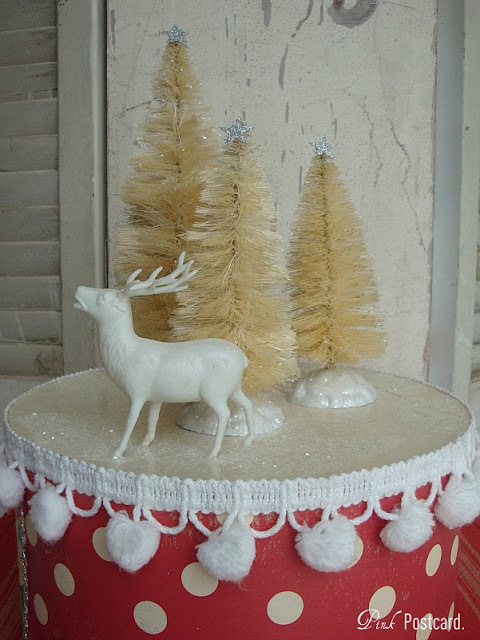 Mid Century Deer that I got at the weekend estate sale was also added to the wintry scene. 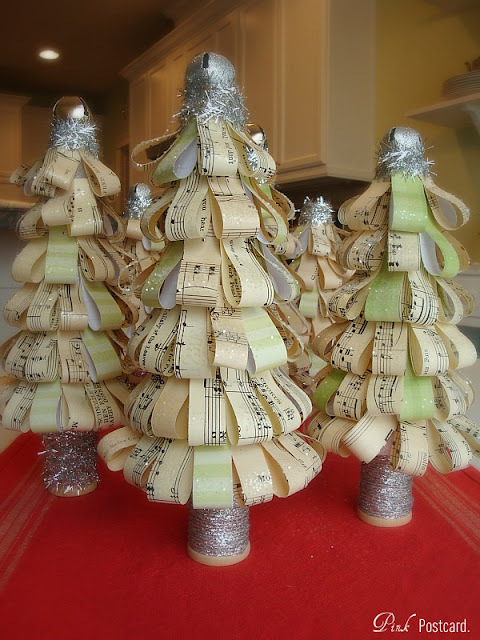 The other project I finished up yesterday was my little forest of vintage paper trees! These are very time consuming to make, but pretty simple to do. I need to add in some taller ones, but so far I got the smaller guys finished. These also got a sprinkling of glitter. Some little spool tree trunks too. scoring some amazing finds!!! 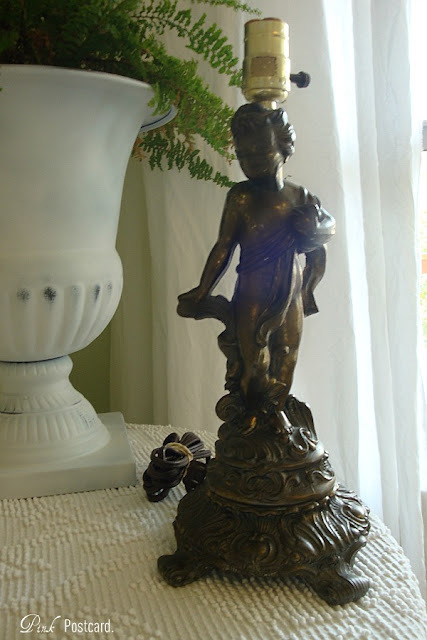 It really wasn't my intention to be on a shop for more vintage goodies, but sometimes you hit the jack pot!!! 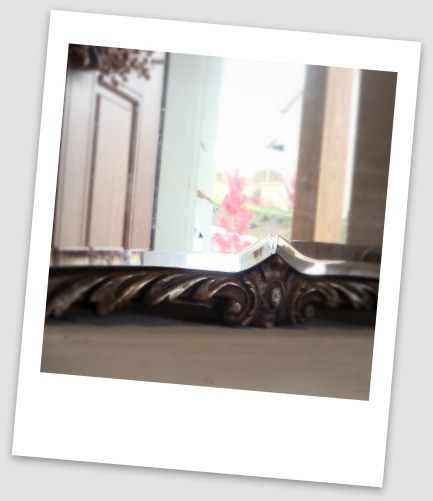 My first find was a little tabletop shelf - more on that later. I need to paint it and shabby it up. I'm thinking of using a book paper background in French, with maybe a fern frond or a Christmas silhouette in it. ...and quite possibly, my most favorite find ever. 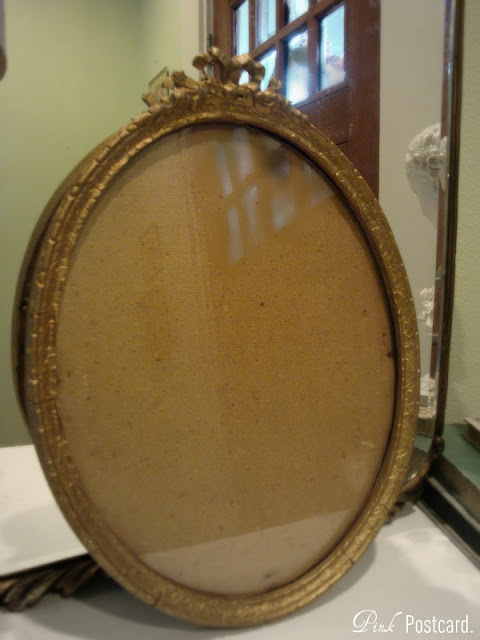 This mirror is absolutely stunning. 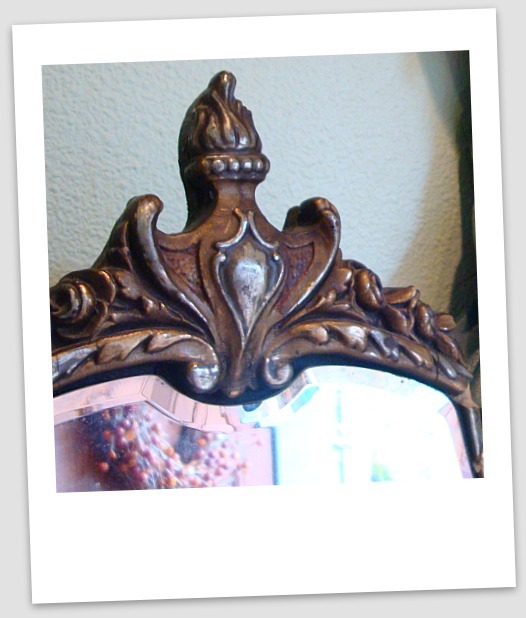 From the chippy ornate frame, to the beveled cut glass, right down to the mirror embellishments. You can find all of these items here in a week and a half! I'm getting so anxious, both a mixture of butterflies and excitement. 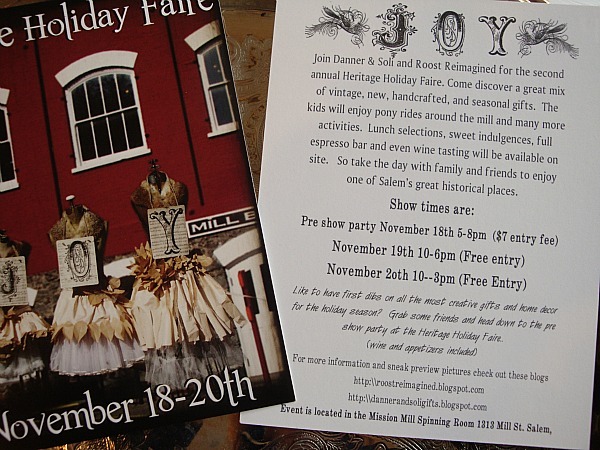 I will be there all weekend, and it is an amazing show you won't want to miss. Last I heard, there will be 40 vendors! Have a great Wednesday, I'll be back soon to show you more finished stuff! I love your tree/bleaching idea--they look vintage! 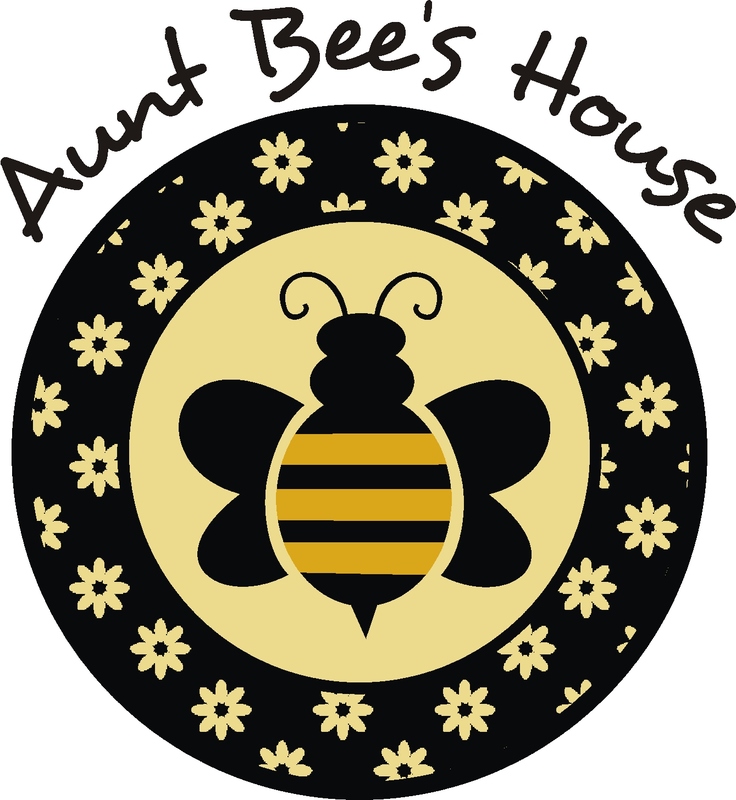 I've had you on my sidebar for a long time and realized I was not "following" so did that today--but, I always catch up on what lovely things you're doing when I see your newest posting. Love your blog! I tired bleaching a bottle brush tree I have but it didn't work. Oh well...it was a big one I got at TJMaxx. I like the look of what you did with yours! Great mirror too! What fun and festive things you've created!! I am hoping to come to the pre-party show! Are they selling tickets online yet? You will do amazing, your pieces are so pretty and I love those trees. 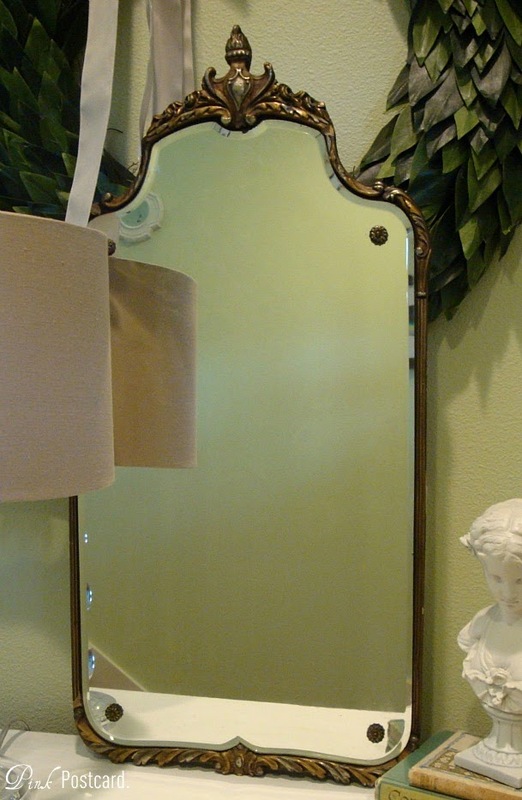 Great finds, that last mirror is gorgeous! Wow! What a clever idea to bleach the trees. They look adorable on top of your decorated box. 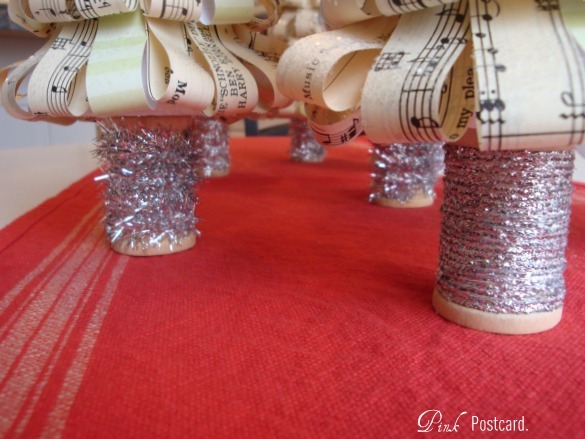 Your paper trees are so sweet, love the silver spools on the bottoms. 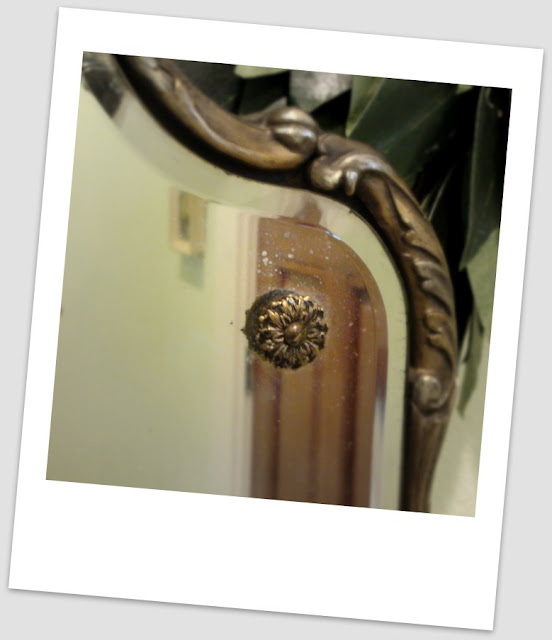 I love the beautiful vintage mirror and frame; your finds are real treasures.